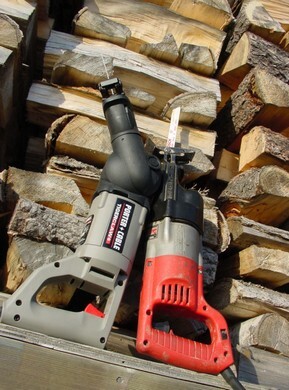 If you’ve got home renovations on your to-do list this winter, then you’ll be glad to learn about a kind of power tool that hasn’t quite made it into popular consciousness yet. Professionals use them all the time, and you should too if you plan to take on any pro-grade renovation work. The machine I’m talking about is called a reciprocating saw in the trade because of the back-and-forth action of the blade. But that name doesn’t really say much. A better term might be “precision demolition saw”. No other piece of equipment let’s you slip in and slice out old metal, wood and plaster as easily and with so little collateral damage. And that’s good because clean, efficient initial surgery is the best way to lay the groundwork for new walls, built-ins, windows, doors and other improvements that boost home comfort and value. 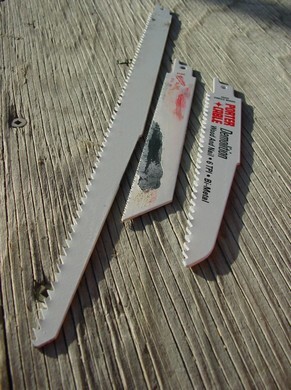 Reciprocating saws are like modified, fortified, specialized jigsaws. They include a relatively small working foot with a large hungry blade sticking out the end, and a long, narrow motor tucked behind. The design looks like a little jack hammer — just the ticket for reaching into places inaccessible with other power saws. And recent refinements in leading models improve stealth capacity even more by including articulated joints that allow you to snake into a work zone around corners and through tight spots. Whether you’re considering buying or renting a recip saw, there are two must-have features you should look for: variable motor speed and orbital blade action. Not all models offer both these capabilities, so look carefully. Variable speed lets you slow down or speed up blade motion, tailoring the motor speed to the material and the blade involved. A coarse blade, for instance, runs best through old framing lumber flat-out, while a slow-moving fine-tooth blade is what you need to cut through old galvanized steel water pipes, for example. Variable speed is valuable in any recip saw because of the diversity of tasks it allows. And all else being equal, a motor controlled by a variable speed dial or trigger is better than one that has just low and high speeds. Picture this: You’re standing on a step ladder, cutting above your head while old lath, plaster and 2×8 slices rain down around you. That’s what you might encounter installing a skylight, and it’s the kind of tough job that any good recip saw can handle. But what about your arms? With all that muscle strain going on, the faster the cut happens the better. And supercharged speed is what something called “orbital blade action” offers. By driving the blade in a D-shaped pattern (down along the straight back of the D, and upwards along the curved front), the cutting rate becomes two or three times faster compared with ordinary up-and-down blade motion. The drawback is a slightly rougher cut, but that’s rarely a problem with the kind of work that recip saws are made for. And for those rare times when you really need a smooth edge, simply deactivate orbital action. Most major home renovations seem to involve cutting out old pieces of wood, but that doesn’t mean you won’t encounter metal. In fact, you almost certainly will. Wall and ceiling frames all bristle with hidden nails, and that’s why even so-called wood-grade recip saw blades are actually tough enough to encounter the occasional nail and win. 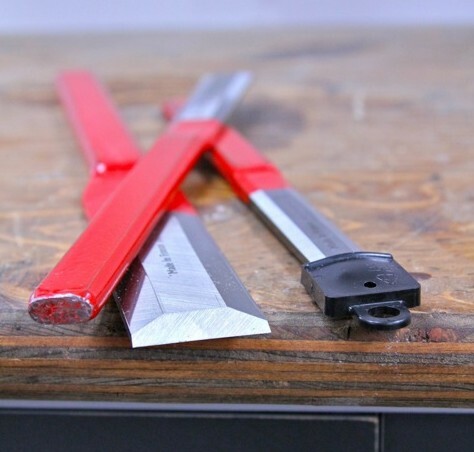 But even still, consider picking up some made-for-metal blades when you stock up for a job. They have the fine teeth of a hacksaw blade and offer one of the neatest methods for dismantling old wooden frame members. Instead of cutting the wood, slice into wood joints and cut the nails only. The frame members come apart easily, leaving you a neater work area and better pieces of wood you can reuse for your renovations. The homeowners I see who succeed at DIY renovations all share one attribute. They take the time to prepare themselves properly beforehand, embracing no excuses about why something has to be tackled with substandard materials, insufficient planning or inadequate tools. The reciprocating saw is one tool that might be easily missed as you gear up for a home improvement campaign. But remember it just once and you’ll never forget again. How to Build Solid & Silent Stairs?